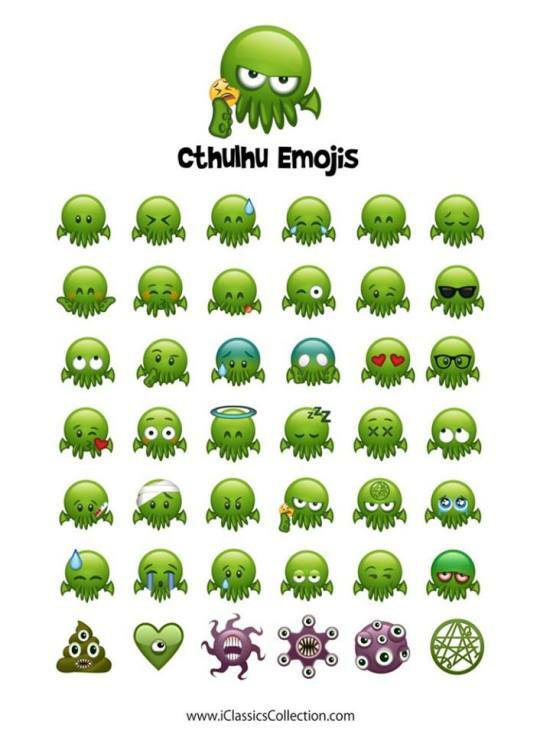 cthulhu emojis – look how cute these are!!! Created by iClassics Products and available for iOS in the App Store, but not for Android, damn it. killedtheinnocentpeople: Cthulhu sculpture by Cam Rackam.